Welcome to the IMPACT Growth Frequently Asked Questions. IMPACT Growth is no longer accepting applications. However, if you wish to learn more about the program, you are free to consult the FAQs below. The Future Internet Public Private Partnership (FI-PPP) is a European programme for Internetenabled innovation. The FI-PPP will accelerate the development and adoption of Future Internet technologies in Europe, advance the European market for smart infrastructures, and increase the effectiveness of business processes through the Internet. The FI-PPP is covering a wide scope of usage areas through a set of use case projects that make use of the FI-PPP core platform in setting up trials of advanced Future-Internet-based services and applications. The core platform of the FI-PPP program is those FIWARE technologies created those realized by the FIWARE project. FIWARE is a platform providing a rather simple yet powerful set of APIs (Application Programming Interfaces) that ease the development of Smart Applications in multiple vertical sectors. The specifications of these APIs are public and royalty-free. Additionally, an open source reference implementation of each of the FIWARE components is publicly available so that multiple FIWARE providers can emerge faster in the market with a low-cost proposition. FIWARE is a software platform that provides enhanced Open Stack-based cloud hosting capabilities plus a rich library of components bringing a number of added-value functions offered “as a Service”. These library components provide open standard APIs that make the development of Future Internet applications much easier. Thus, it brings components enabling the connection to the Internet of Things, the support of a smart and context-aware behaviour through the real-time processing of data and media content at large scale as well as the analysis of Big Data, or the incorporation of advanced Web-based User Interface features (e.g., Augmented Reality or 3D visualization), among others. Each component that is part of the FIWARE Reference Architecture is referred to as a “Generic Enabler (GE)”. All FIWARE GE specifications are public and royalty-free, thus enabling alternative implementations of each FIWARE GE to come from different providers. FIWARE GE specifications are “driven by implementation” as opposed to “design by a committee”. Thus, the specifications of each FIWARE GE are backed by an open source reference implementation. Thanks to this, alternative FIWARE instance providers can emerge faster in the market. 1.3 Where can I find more information about FIWARE? 2.1 What is IMPACT Growth? IMPACT Growth is the Startup Accelerator made by top accelerators, global brands and VCs. IMPACT Growth will select 14 startups that will be financed with up to €250,000 equity free in cash plus acceleration services. The 14 startups selected will receive €100,000 in cash equity free and services in the first phase. The two best of these startups will receive a prize of up to €150,000 in cash equity free, so in total they can receive up to €250,000 equity free in cash plus services. 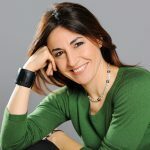 These two startups will also have the possibility to be privately funded with around €1.5M in rounds lead by the two VCs of the consortium: Kibo Ventures and Accelerace. To enter the program, startups must adopt FIWARE technology. Specialized training in digital entrepreneurship and in the four sectors addressed to give you the specific tools necessary to manage your project or business and take it to the next level. Startups that participate in the program will benefit of being part of the FIWARE Ecosystem and the use of FIWARE technologies. Ongoing mentorship at a high level, providing them with continued support throughout the whole process. Crowdfunding campaigns to support the beneficiaries in raising additional funds. An Investors Day where selected startups will have direct contact with investors. 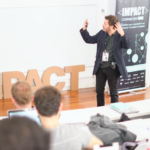 IMPACT Growth is a high performance and equity free acceleration program supported by Fundingbox, ISDI, Accelerace, Mobile World Capital Barcelona, FIWARE Foundation, Kibo Ventures, Invesdor, Danone, Ferrovial, DOCOMO Digital, and MADE, among other big players. IMPACT Growth is looking for startups in the following verticals: Smart Infrastructures and Cities; Smart Content (Media, AdTech and Content); Smart Manufacturing; and Smart AgriFood. 2.2 What is considered to be Smart Infrastructures and Cities? Smart Infrastructures and Cities is a future Internet meta-sector that addresses solutions for the challenges of urbanisation by helping to optimise resource consumption and improve services through better management of supply and demand in urban life activities. In Smart Infrastructures and Cities we will foster innovative solutions to tackle issues such as energy management, water management, waste management, transport management, mobility, assisted living, eGovernment, gity infrastructures, or security. Ferrovial is the corporate leading the Smart Infrastructures and Cities vertical. They will participate, in a transversal way, in all the project activities related to its vertical in particular: selection of the startups, mentoring for the beneficiaries and support by offering them commercial partnerships or any other further support. 2.3 What is considered to be Smart Manufacturing? Smart Manufacturing is the collective term for technologies and concepts of value chain organization, which puts together Cyber-Physical Systems, the Internet of Things and the Internet of Services. Within the modular structured Smart Manufacturing, cyber-physical systems monitor physical processes, create a virtual copy of the physical world and make decentralised decisions. Over the Internet of Things, cyber-physical systems communicate and cooperate with each other and with humans in real time, and via the Internet of Services, both internal and crossorganizational services are offered and utilised by participants of the value chain. In Smart Manufacturing we will foster innovative solutions to tackle issues such as Advanced Intelligent Manufacturing, Human-centered Manufacturing, product data and knowledge in product life cycle, Collaborative and Mobile Product Lifecycle Management (PLM), Cloud Manufacturing, Manufacturing as a Service, Product-Service Manufacturing Ecosystem. MADE is the entity of reference for the Smart Factory Vertical. MADE consists of more than 50 Danish manufacturing organizations (including Lego Group and Siemens Wind Power). They will participate, in a transversal way, in all the project activities related to its vertical in particular: selection of the startups, mentoring for the beneficiaries and support by offering them commercial partnerships or any other further support. 2.4. What is considered to be Smart Agrifood? Smart Agrifood is the Future Internet meta-sector that addresses smart farming, focussing on sensors and traceability; smart agri-logistics, focusing on real-time virtualisation, connectivity and logistics intelligence; smart food awareness, focussing on transparency of data and knowledge representation. In Smart Agrifood we are looking for projects related to farming, agri-logistics and food awareness, for new applications about traceability, logistics and quality control in production and distribution. Danone is the entity of reference for the Smart Agrifood vertical. They will participate, in a transversal way, in all the project activities related to its vertical in particular: selection of the startups, mentoring for the beneficiaries and support by offering them commercial partnerships or any other further support. 2.5. What is considered to be Smart Content? 2.6. Why should I participate in the IMPACT Growth Open Call? First of all, because you have the possibility of receiving up to €250,000 in cash equity free! The 14 companies that enter in the acceleration program will receive up to €100,000 and the two best companies a prize of €150,000, so in total you can receive up to €250,000 in cash equity free. But it is not just for the money! Ongoing mentorship at a high level, providing you with continued support throughout the whole process. Crowdfunding campaigns to support you in raising additional funds. The possibility of receiving private investment from the VCs of the consortium. An Investors Day where you will have direct contact with investors. Therefore, if you want to learn from and work with the most recognized professionals within your sector, with first class mentoring support and importantly real financial support, IMPACT Growth is your program. 2.7 Can I apply if I don’t fit in any of the verticals? If you think you don’t fit in any of the verticals, please contact us through our helpdesk. We will help you confirm if you can apply or not. 3.1 Who can apply to the Open Call? The IMPACT Open Call is open to SMEs (legal persons)  participating on their own (only one SME per application). The Member States of the European Union: Austria, Belgium, Bulgaria, Croatia, Cyprus, Czech Republic, Denmark, Estonia, Finland, France, Germany, Greece, Hungary, Ireland, Italy, Latvia, Lithuania, Luxembourg, Malta, Netherlands, Poland, Portugal, Romania, Slovakia, Slovenia, Spain, Sweden and United Kingdom. The Overseas Countries and Territories (OCT) linked to the Member States: Anguilla, Aruba, Bermuda, Bonaire, British Virgin Islands, Cayman Islands, Curaçao, Falkland Islands, French Polynesia, Greenland, Montserrat, New Caledonia, Pitcairn Islands, Saba, Saint Barthélémy, Saint Helena, Saint Pierre and Miquelon, Sint Eustatius, Sint Maarten, Turks and Caicos Islands, Wallis and Futuna. The Countries Associated to Horizon 2020: the latest information on which countries are associated, or in the process of association to Horizon 2020 can be found in the online manual. Chile, Colombia, Comoros, Congo (Democratic People’s Republic), Congo (Republic), Costa Rica, Côte d’Ivoire, Cuba, Djibouti, Dominica, Dominican Republic, Ecuador, Egypt, El Salvador, Eritrea, Ethiopia, Fiji, Gabon, Gambia, Georgia, Ghana, Grenada, Guatemala, Guinea, Guinea-Buissau, Guyana, Haiti, Honduras, Indonesia, Iran, Iraq, Jamaica, Jordan, Kazakhstan, Kenya, Kiribati, Korea (Democratic Republic), Kosovo*, Kyrgyz Republic, Lao, Lebanon, Lesotho, Liberia, Libya, former Yugoslav Republic of Macedonia, Madagascar, Malawi, Malaysia, Maldives, Mali, Marshall Islands, Mauritania, Mauritius, Micronesia, Moldova, Mongolia, Montenegro, Morocco, Mozambique, Myanmar, Namibia, Nepal, Nicaragua, Niger, Nigeria, Pakistan, Palau, Palestine, Panama, Papua New Guinea, Paraguay, Peru, Philippines, Rwanda, Samoa, Sao Tome and Principe, Senegal, Serbia, Seychelles, Sierra Leone, Solomon Islands, Somalia, South Africa, South Sudan, Sri Lanka, St. Kitts and Nevis, St. Lucia, St. Vincent and the Grenadines, Sudan, Suriname, Swaziland, Syrian Arab Republic, Tajikistan, Tanzania, Thailand, Timor-Leste, Togo, Tonga, Tunisia, Turkey, Turkmenistan, Tuvalu, Uganda, Ukraine, Uzbekistan, Vanuatu, Uruguay, Venezuela, Vietnam, Yemen, Zambia, Zimbabwe. The scope of the project must be in one of the following four sectors: Smart Agrifood, Smart Infrastructures and Cities, Smart Content and Smart Manufacturing. The project has to be already invested in by private and/or public funds. Only one proposal per SME can be submitted. If more than one proposal per SME is identified, the proposal will be excluded from the process. Headcount in Annual Work Unit (AWU) less than 250. Annual turnover less or equal to €50 million OR annual balance sheet total less or equal to €43 million. Note that the figures of partner and linked enterprises should also be considered with documentation provided. Non EU SMEs may apply but in case they become a beneficiary of IMPACT Growth Open Call they have to establish in one of the Eligible Countries (EU28). Signed an agreement with the Union as identified in Article 7 of the Horizon 2020 Regulation. 3.2 If we have a partnership with a large company for product development, does this make us ineligible? As you can see in the “Guide for Applicants,” Section 3, applicants must be SMEs [legal person] participating on their own, only one SME (not a consortium of SMEs). A product development partnership, focused on technical or technology collaboration, is not a limitation for application per se. Other kinds of partnership, e.g. business partnership or more specifically crossed share capital participations, with a large company should not breach EC RECOMMENDATION of 6 May 2003 concerning the definition of micro, small and medium-sized enterprises (notified under document number C(2003) 1422) (2003/361/EC). If the large company owns more than 25% of the SME’s shareholders capital, this would most probably mean that the small daughter company could NOT be considered an SME. 3.3 What type of projects is IMPACT Growth looking for? The ideal project type IMPACT Growth Consortium is looking for would be high growth projects with an already existing market footprint (TRL 8 or 9). They will have to show market traction expressed in users or profit, as well as some pre-seed investment already raised from private or public investors. The ideal target projects are looking for additional investment for scaling their business globally, looking to open a new territory in less than 6 months and, overall, already using or be willing to adopt FIWARE as a core part of their technology roadmap. The social impact will be also valuable. All these elements are recommended, they are not mandatory. The more closely the projects match these criteria, the more likely they will be selected. 3.4 Why is important to show project maturity? Because IMPACT Growth is looking for high growth projects with an already existing market footprint (TRL 8 or 9). They will have to show market traction expressed in users or profit, as well as some pre-seed investment already raised from private or public investors. The ideal target projects are looking for additional investment for scaling their business globally, looking to open a new territory in less than 6 months and, overall, already using or be willing to adopt FIWARE or any other Future Internet Technology promoted within the project, as a core part of their technology roadmap. 3.5 What do you mean by being in the market? 3.6 How do you expect our product to be presented in the application process? Inside the online form there is a specific field for the attachment (eg. video) to show your product. 3.7 Can I apply if I don’t have a company? It would be recommended to apply as SMEs in constitution process at this stage because only SMEs participating on their own are eligible to receive funds. For this reason, if you have already incorporated your company and you only need the registration number, you can apply as an SME. We will ask you the documentation to prove that you are an SME, once the evaluation process is finished and before starting the Acceleration Program, so well after the closing date for applications. In any case, although you can apply as SMEs in constitution process, if you are selected as a beneficiary, the IMPACT Growth project will ask you to be incorporated as an SME before the start of the IMPACT Growth Acceleration Program. 3.8 Can one company submit two project ideas? No, according to IMPACT Growth Open Call eligibility criteria: Only one proposal per SME or individual can be submitted. If more than one proposal per SME or individual is identified by the IMPACT Growth team all the proposals of the applicant will be discarded. 3.9 Do we have to be already selling or invoicing? It is not a requirement, but it would be positively evaluated. 3.10 If we are in another acceleration program, can we apply to IMPACT Growth? Yes, as long as the programs don’t overlap. If you are selected, you will have to sign a Declaration confirming that you will not be participating in another Acceleration Program once you start the IMPACT Growth Program. 3.11 What information should I include about the use of FIWARE in my application? Any project submitted is required to make a relevant use of FIWARE technologies, therefore qualifying to be listed as a “Powered by FIWARE” smart solution in the FIWARE Marketplace. Alternatively, they may also be focused on the creation of a base software enabler technology or physical device that is designed to work “plug&play” with Smart Solutions “Powered by FIWARE” (specific drivers and documentation for implementing and configuring the required “plug&play” functionality have to be delivered, so the proposed software enablers or devices can be listed as “FIWARE-ready” technologies in the FIWARE Marketplace). In your application you need to show a feasible architecture for your system, including some of the FIWARE Enablers. You can also include your current architecture if you like, along with the proposed one integrating FIWARE. Your project will be evaluated on the basis of this architecture, so it has to be consistent but does not need to be definitive, as it can then be subject to minor changes. If you are selected, you will have to send a final architecture proposal based on the one proposed in your application. Regarding the technology map needed for your application, a diagram showing the different components of your architecture and the connections and interactions between them, plus a reference to your technology stack (both front and back end) is fine. If you want you can add some textual explanation that clarifies both, and help the evaluators understanding your technology. 3.12 How can I apply for the Open Call? 3.13 How long does it take to fill in an application? According to the information shared by applicants of the last call, 70% of the applicants filled in it in 2 days or less and 40% in 1 day or less. In this open call we have reduced the number of questions with the goal of allowing most of you to fill in the form in 1 day or less. An important aspect of your application is the technology that is used in your project as you will be required to upload a Technology Map (including FIWARE Technologies Use Plan) as part of your application. We encourage you to keep your proposal as focused as possible concentrating on the specific information requests made. 3.14 What type of support is available for preparing the proposal? The ‘Guide for Applicants’ is the main reference document. It provides more details about the evaluation and selection processes the many requirements, and the acceleration program offered by IMPACT Growth. Additionally an Open Call and Technical Helpdesk (http://impact-growth.fundingbox.com/spaces) service is on hand to clear up any doubts you may have relating to the application process (eligibility rules, application form information requests, etc) or if you encounter any technical problem when filling in the application form. 3.15 What is the deadline for submission of the application? The companies that apply before the first deadline will benefit from having more time to be evaluated, also, in case they don’t pass to the next phase they will receive feedback they can take into account to improve their application before the second deadline. The 12th of December is the final deadline; after that date, no applications will be accepted. 4.1 What are the criteria for selecting the final beneficiaries? The IMPACT Growth selection process has been designed to be fair, fun and interesting for you. Therefore we have designed a process in six phases. Phase 1. Projects will be presented through the FundingBox platform. After completing the online questionnaire, those who meet the eligibility criteria (see Question Nº 3.1) will move to the next phase of selection. Founders dedication to the project. Growth potential and knowledge of potential market. Amount of investment received, founders own equity and sources of money. On round: looking for money and investment for scaling the business. Partnership, having or in advanced stage of commitment with a corporate or any equivalent strategic partner. Phase 4. Best proposals will go to the next step, FIT/FIWARE Check for technology evaluation. Phase 5. The Short List of Pre-Selected Applicants proposals will pass to the Consensus Meeting, which will define the finalists that will present their projects at the Jury Day. Phase 6. Finally, the highest ranked proposals will participate in the Jury Day which will involve interviews by the Jury that will then select the final beneficiaries. For more information about the evaluation process, consult the “Guide for Applicants”. 5.1 Is there going to be an advanced payment to selected projects? The IMPACT Growth funding scheme is based on a series of payments against validation of gradually achieved milestones. That means that payments will only be made upon receiving and validating the beneficiary’s previously agreed milestones. Therefore, there is no advance payment. 5.2 When do the selected projects receive the funding? 14 beneficiaries up to € 100,000 equity free in cash to be delivered in 3 installments. 2 beneficiaries will receive extra funding of up to €150,000, so in total they will receive up to €250,000 equity free in cash. As it is indicated in the DoA the €100,000 grant is paid in two stages: 50% at the beginning of the acceleration program and 50% at the end of the acceleration program. To receive the first 50% companies must sign the subgrant agreement and related documents and send the FIWARE technology map, To receive the second payment they must comply with the milestones that were set up at the beginning of the acceleration program, both from the FIWARE and the business perspective. The two companies which will receive €250,000 will receive a payment of €150,000 around month 6. Last payment: 12 startups: €15,000 (15% of €100,000), 2 startups: €37,500 (15% of €250,000). This payment will be done when the consortium receive the last payment from the European Commission, around first quarter 2019. The dates might change dependently on receiving the final payment from the EC. 5.3. What kind of rewards and benefits will IMPACT Growth offer to beneficiaries? 5.4 How will IMPACT Growth monitor the progress of the beneficiaries? In order to properly monitor the startups’ performance at this stage, an “Individual Mentoring Plan” per startup will be defined at the beginning of the Program, establishing the KPIs to be evaluated in the different milestones. 6.1 Are all activities included in the Acceleration Program compulsory? All activities included in the ‘Acceleration Suite’ are compulsory. 6.2 Are all projects required to go through the training process? Yes, your project is unique and so are your training needs. The IMPACT Growth team will help identify your needs and those of your team, providing the necessary tools and training that will ensure the experience is of maximum benefit to your project. 6.3 Is it mandatory to move our business to Spain or Denmark for the acceleration process? No, it isn’t. Every beneficiary can operate in their home country. The mentoring is done remotely or in your country. You will however have to attend 3 events which will require your relocation for short periods of time, namely: for the Jury Day during the selection phase, and for Welcome Week and for Demo Day (Investors Day), during the acceleration programme, if you are selected as beneficiary. 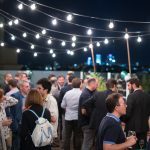 6.4 Does IMPACT Growth offer co-working spaces for beneficiaries? If you are interested, IMPACT Growth can offer beneficiaries office spaces at attractive rates through agreements with partner entities. Just ask the IMPACT Growth team if you need more information regarding this service. 6.5 Are all activities included in the acceleration program covered by the program? Yes, all the activities included in the acceleration program are free of charge for beneficiaries. You will only have to pay your travel and accommodation cost related to the in-situ events (Jury Day, Welcome Week and Demo/Investors Day).